The 100th anniversary of the Polish Bishops’ Conference, the 100th anniversary of the Apostolic Nunciature in Poland, the protection of minors in the Church and youth ministry – these are the main themes of the 382nd Plenary Assembly of the Polish Bishops’ Conference, which will take place from March 12-14, 2019, in Warsaw with guests from abroad. The papal legate for the jubilee celebrations will be Cardinal Pietro Parolin, Secretary of State of the Holy See. The next Plenary Assembly of the Polish Bishops’ Conference will be connected with the 6th anniversary of the election of Pope Francis. The papal celebrations will be held this year together with the 100th anniversary of establishing diplomatic relations between the Holy See and the Republic of Poland as well as the 100th anniversary of the Polish Bishops’ Conference. On March 13, at the Temple of Divine Providence in Warsaw, at 17.30, the Holy Mass for Pope Francis will be celebrated with the participation of the Polish Episcopate. The Eucharist will be presided by Cardinal Parolin. On the same day before noon, Cardinal Parolin will meet with the bishops and give a speech initiating a special jubilee session. The 382nd Plenary Assembly will be attended by guests from abroad, including representatives of the Episcopates from Albania, Belarus, Ukraine, Denmark, Spain, Kazakhstan, Lithuania, Latvia, Moldova, Slovakia and a representative of the Commission of the Bishops’ Conferences of the European Union (COMECE) from Italy. During the session, Archbishop Stanisław Gądecki, the president of the Polish Bishops’ Conference, will share with the bishops the conclusions of meetings with victims of sexual abuse by clerics. 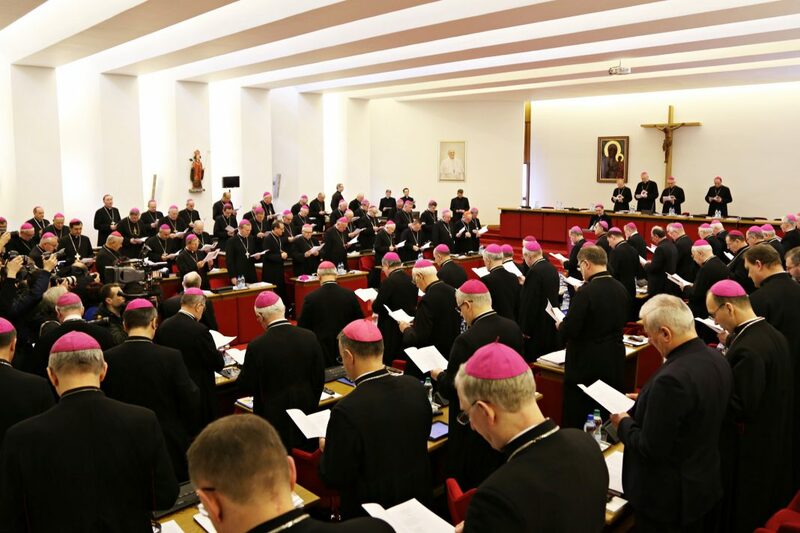 Archbishop Marek Jędraszewski, vice president of the Polish Bishops’ Conference, and Bishop Artur Miziński, secretary general of the Polish Bishops’ Conference, will report on the meeting in Rome on the protection of minors in the Church. The next activities of the Bishops’ Conference related to the protection of children and youth in the Church and in society will also be discussed. The program of the 382nd Plenary Assembly foresees also the speech of Bishop Marek Solarczyk, president of the Youth Ministry Council. He will report on World Youth Day in Panama. Fr. Maciej Zięba will present instead “The Gift for the Centenary” project which is to be carried out from May 19, 2019, to May 10, 2020, on the occasion of the 100th anniversary of the birth of St. John Paul II.